Donations to the CMSR Rescue Fund have been made on behalf of the dogs discussed and pictured below. When Katherine Kinglsey and her family decided to adopt Terry, one of our rescue dogs, in September 2010, Katherine generously made a donation to our Rescue Fund. We have started this Tribute page in Hardy's honor. We will honor dogs or people (or even other animals!) whose friends wish to recognize them by making a donation to help meet CMSR's goal of rescuing as many needy Schnauzers as we can. 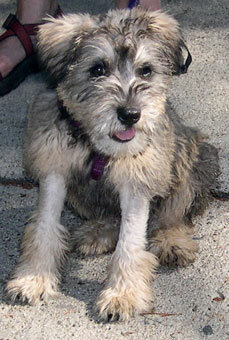 The Williams family had Lexi, a Miniature Schnauzer, and Rocky, a rescue terrier mix. Sadly, Lexi was attacked by a swarm of bees in the summer of 2016. She was rushed to Emergency, but the vets were unable to save her as she had been stung too many times. 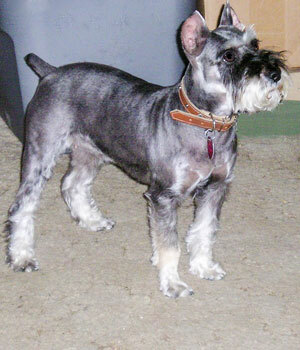 The Williams family then adopted Elsa from us so that Rocky would again have a companion. Elsa proved to have many of the same traits that Lexi did. The Williamses fell in love with Elsa immediately, as did Rocky. No-one can replace Lexi, but Elsa loves her new family and is doing her best to make them glad they found her. About a month after adopting Elsa, the Williams family made a very generous donation to CMSR in Lexi’s memory. 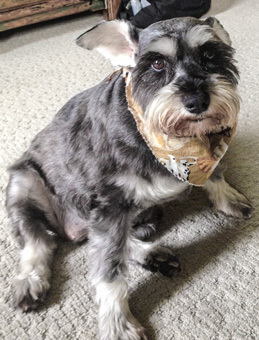 Their donation will help CMSR carry on its work of rescuing Schnauzers in need. We thank them very much for their generosity. 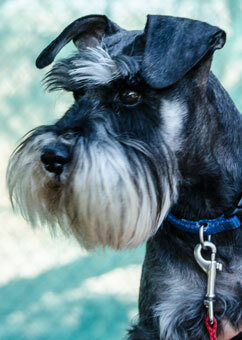 Valerie is a very sweet purebred black Miniature Schnauzer who is about 3 years old. We rescued Valerie from the Bakersfield shelter on August 7, 2012. Valerie had some open sores and was limping when we got her. She started to heal up and then developed bloody diarrhea. A barium scan revealed that part of her intestine had come forward from her abdomen into her chest cavity, almost certainly the result of having been hit by a car. We were told that Valerie needed surgery, and that it will have to be done by a specialist. Valerie's medical expenses came to almost $3,000. The sugery went well and Valerie seems to have made a full recovery. The Foundation that helped with Barry's, Nick's, and Molly's expenses very kindly helped with Valerie's expenses as well. 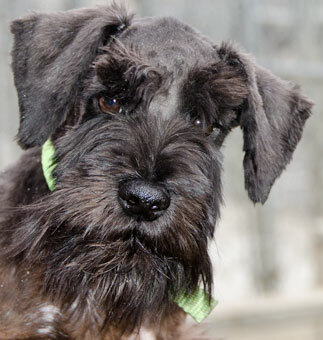 Molly is a very sweet, purebred female Miniature Schnauzer who is about one year old. A family in Stockton found Molly and asked us to take her. Molly's tibia (the lower leg bone) was broken in two places. The needed surgery involved putting in a plate and pins to repair the break. The surgery went well and Molly has made a full recovery. The cost of Molly's surgery and follow-up care was just under $2,500. We rescued Barry from the Kern County shelter. His leg was broken. We had Barry's leg repaired and had him neuthered at the same time. Barry's surgeon, Dr. Balfour, says Barry's leg has healed well. 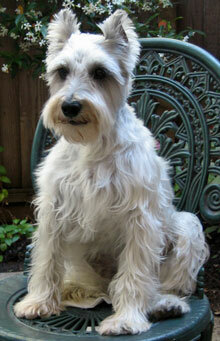 Barry was adopted on September 8, 2012, by a gentleman in San Jose who also adopted Rosie, another of our rescues. In early August, a veterinarian asked us to rescue an 8-week puppy who had been surrendered to her because he had parvovirus. 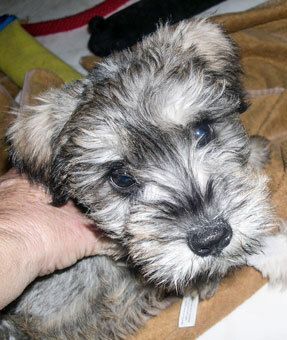 Alexander made a fully recovery and became a very happy and a very smart puppy. He was adopted by a family in Kensington on September 14, 2012. Nick is a really cute Norfolk Terrier with a personality to match. The shelter estimated is age at 3 but we think he is about 2. Sadly, Nick had been hit by a car and the upper part of his leg was shattered. Nick had surgery to repair his leg on January 26, 2012. Nick's surgery, with follow up x-rays, cost about $3,500. Nick is definitely worth it! 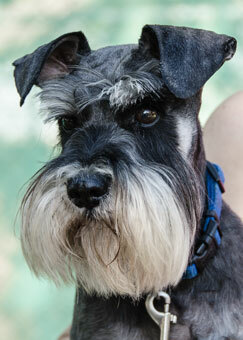 Gary is a super-cute purebred black Miniature Schnauzer. 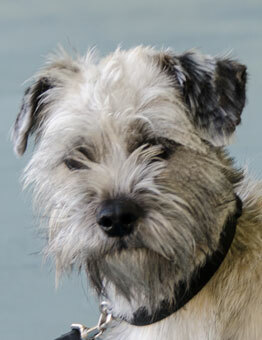 We rescued Gary from the Los Angeles South shelter on September 8, 2011, when he was 5 months old. Both of his femurs (upper leg bones) were fractured at the neck and he was in a lot of pain. We took Gary straight from the shelter to an orthopedic surgeon to get his legs fixed—but the surgery fees were about $2,250—and soon after surgery he incurred another $130 in vet bills for a skin condition. We asked for help with Gary's expenses and many kind people responded. We are happy to report that Gary has healed well from the surgery. He is now running and playing. His skin problems have also cleared up. 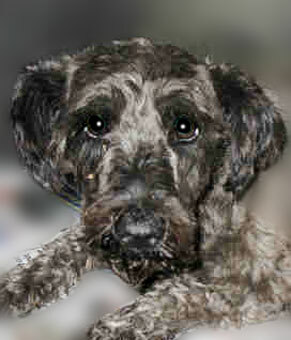 The Kingsley family brought Hardy home on September 10, 2001. Hardy was undisciplined at first. He would pull hard on his leash and bolt out the door if the opportunity arose. Hardy, though, proved to be a quick learn at obedience classes, learned to do tricks, and eventually became a therapy dog, leading Katherine to form a therapy dog group called Shared Canine Companions. 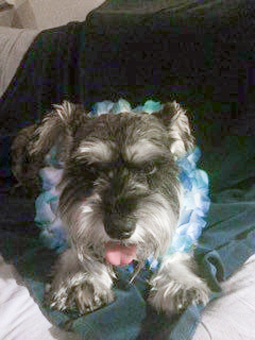 Tragically, on June 14, 2010, at around 1:15 p.m., Hardy was attacked by a Pit Bull while walking on the neighborhood sidewalk with owner, Katherine. Katherine tried her best to save him, but was unable to do so. Hardy is sadly missed by his family. A new dog never replaces an old one, but hopefully our rescue, Terry, will fill in for Hardy, bringing new love and companionship to Hardy's beloved family.